2019’s New Simpified Rules Plays To Your Advantage. It’s often been said that the rules are there to help the golfer, and yet how often have you felt that they were more hindrance than help? Since January 1st this year, longstanding rules that previously confused and confounded, have been simplified and made more practical, and what could be more practical in golf than to speed up play? There haven’t been this many significant changes to the rules since 1952, and a slimmed down easier to understand version called the Player’s Edition of the Rules of Golf should be in every player’s bag. Look for them in the clubhouse, or better yet, download the app so there’ll be no dispute in your next fourball. Here are the most important changes you can take advantage of. If your tee shot goes out of bounds, or you can’t find it, you’ll no longer have to tee it up again. Instead, drop a ball in the area where the original was lost or OB with a two-stroke penalty, and play your fourth shot. 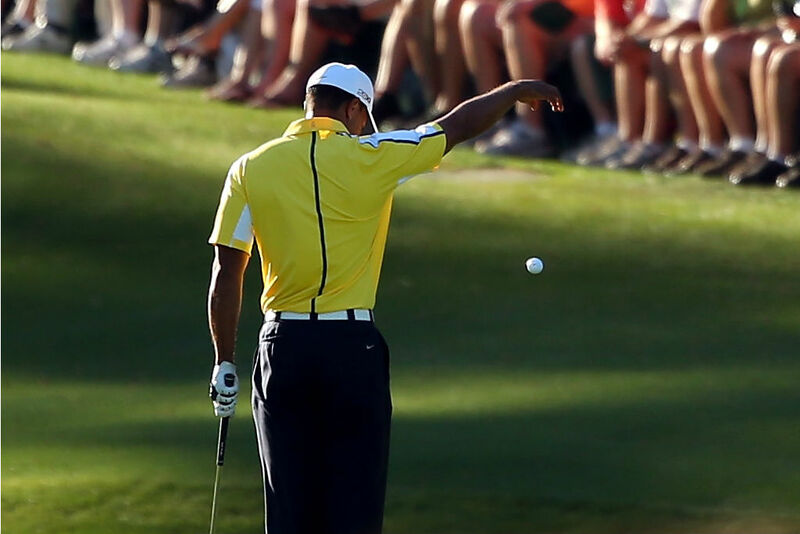 Drop it on the fairway even. Note that this is a local rule, which won’t apply in a professional event. Not marking the exact spot where your ball went down won’t help you find it in five minutes if you haven’t yet found it in three. All the better to speed up play we say. Water hazards are now penalty areas, and that includes deserts and jungles. You’ll still see the familiar red and yellow markers, but you can now ground your club, whether or not you are hitting off ground or out of the water. Make sure, though, not to improve the lie for your next shot. Plugged in the bunker wall with no hope of escape? Declare your ball unplayable, take it outside the trap, drop on a line and play on. You will, though, have to add a two-stroke penalty. The rule made famous when Taiwanese golfer T.C. (Two Chip) Chen lost the ’85 US Open. Now, accidentally hitting the ball twice counts as just one stroke; and if the ball unintentionally deflects off you or your equipment, there’s no penalty. From dropping it over your shoulder to knee height. What a change! There’s less chance of the ball bouncing and rolling out of the relief area, and a chance for a better lie. Perhaps we have Dustin Johnson to thank for this rule change. You’re free of guilt and a penalty stroke, unless you caused it to move on purpose. There’s no more need for the flag to be out once you’re on the green and ready to put. A time saver and for the smart golfer, a strategic stroke saver. Touching the line of your putt is now allowed, along with repairing spike marks, ball marks, and other green damage.